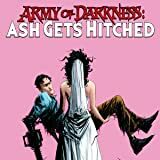 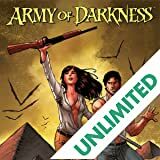 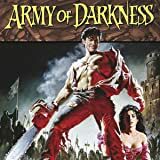 Dynamite proudly presents the second volume of the acclaimed Army of Darkness series collecting the next 15 issues in one massive omnibus designed for reading (or, in this case, DEVOURING) a HUGE chunk of awesome Dynamite Comics in one sitting! 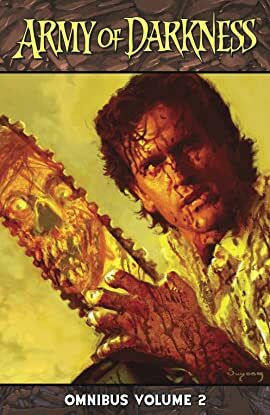 Featuring Ash vs. the Classic Monsters (volume 1, issues 8-11), The Death of Ash (issues 12-13), From The Ashes (volume 2, issues 1-4), The Long Road Home (issues 5-8) and Home Sweet Hell (issues 9-12). 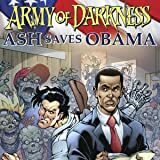 Featuring the work of James Kuhoric (Freddy vs. Ash vs. Jason), Mike Raicht (Zombie), Kevin Sharpe (Nova), Pere Perez (Action Comics) and more. 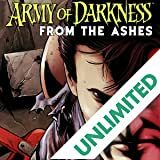 Also collecting a complete cover gallery showcasing the art of Arthur Suydam (Marvel Zombies), Sean Phillips (Marvel Zombies), Jae Lee (Stephen King's The Dark Tower), Tony Moore (The Walking Dead), Nick Bradshaw (X-Men), Stjepan Sejic (Witchblade) and many more!